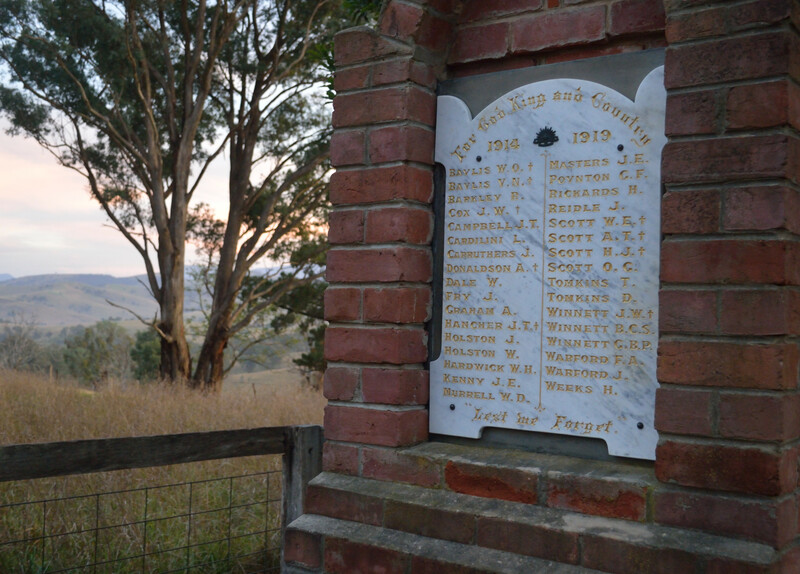 This entry was posted in Anzac centenary, Commemoration and remembrance, First World War centenary and tagged anzac day by Ashleigh Gilbertson. Bookmark the permalink. 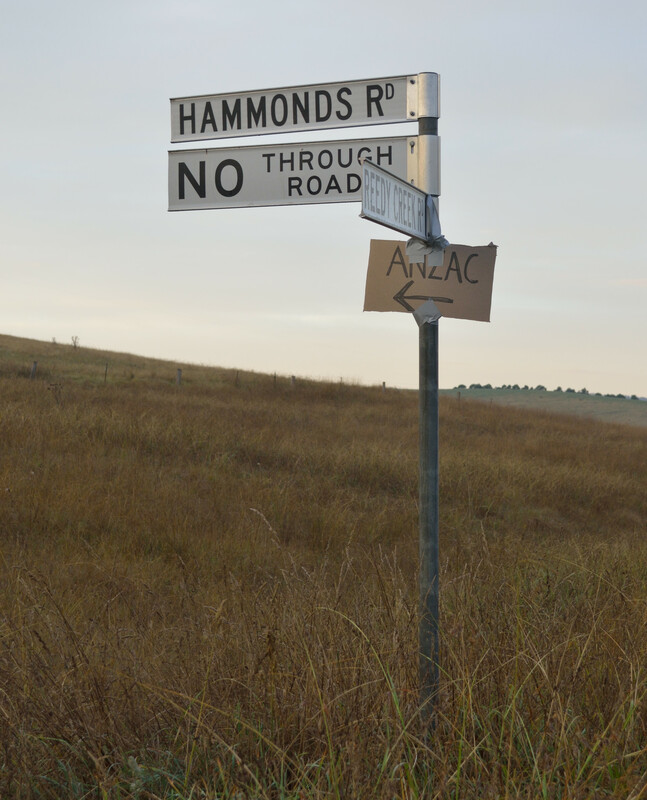 Ash, I read this after reading James Valentine’s piece in today’s Sunday Canberra Times about Anzac Day overload and can’t help feeling these two pieces go together so very well. James’ point was that, whilst each, individual memorial/remembrance/gathering was important, the overall effect of them taken together was proving to be overkill for many people, himself included. There has been too much coverage making it difficult for people to remember on a personal level. The Anzac Day dawn service you and Andrew attended seems to me to be absolutely the best way to commemorate and celebrate both Anzac Day itself and the servicemen and women who come after. I use the word celebrate quite deliberately because what Anzac Day should be is a celebration not of the deaths that happen in war but of the lives of those who lived on, what they achieved and what we owe them, not in a big Anzac=Australia way, but in the personal. We didn’t attend any Anzac Day services this year, but we watched the service in Canberra and then at Gallipoli and Lone Pine. We were bombarded (is the only word for it) by the media with ‘lest we forget’ remembrances, all well executed, well intentioned and far to much in reality, and were decidedly Anzac’d out by evening. I think you and Andrew probably had the best Anzac Day experience going yesterday, certainly one of the most meaningful. P.S. Thinking about it, perhaps the most telling comment came from one of the ABC reporters at the Lone Pine memorial. During one of the crosses the anchorman for the ABC (actually on the beach at Gallipoli) mentioned the personal connection that the reporter had referred to earlier in the day and how had that affected his own participation in the services. The reporter’s response was simple “I’ve spent so much time telling other peoples’ stories I really haven’t had time to think about my own.” How sad. Thanks for your thoughtful comments, Penny. Other blog readers may also be interested in James Valentine’s Canberra Times piece on ‘Gallipoli fatigue’, which can be found here: http://www.canberratimes.com.au/comment/gallipoli-the-story-we-all-grew-up-with-20150425-1mpsew.html. I think it is telling that each of us – both of defence families and historically-minded – have been sharing the same fatigue as Valentine. 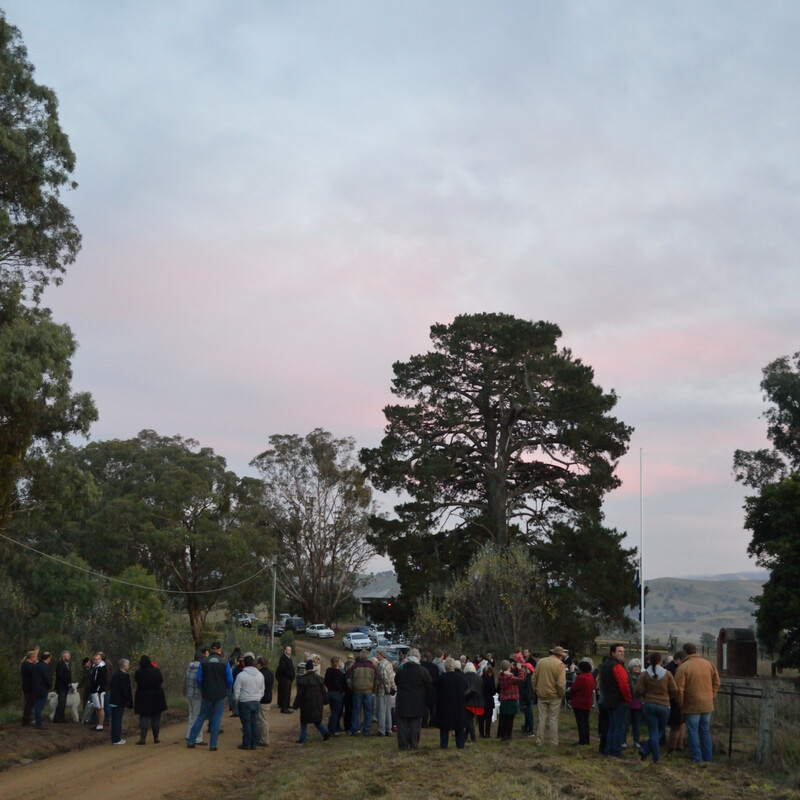 The Reedy Flat dawn service was, indeed, a very meaningful act of remembrance for me.